In my re-watching of “Star Wars: The Clone Wars”, one thing that stuck out is how lacking in efficacy and strength General Grievous is, which is in stark contrast to how fear-inducing and powerful he was in “Star Wars: Clone Wars”. This was brought to the fore, however, once the “Lair of Grievous” episode occurred in the first season. Before that episode, however I wanted to briefly explore his appearances prior to that episode. 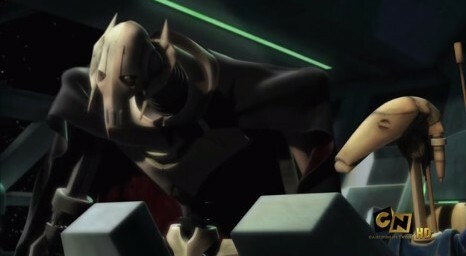 In the following episode, “Shadow of Malevolence”, General Grievous becomes frustrated and smacks a battle droid, decapitating it, to which Count Dooku reprimands him: “Grievous, those battle droids are expensive.” It doesn’t seem as if Count Dooku is pleased much with General Grievous. 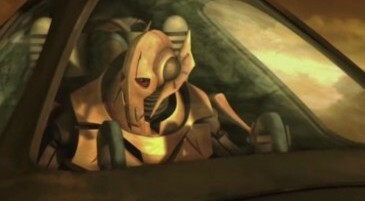 General Grievous’ overconfidence caused him to have the ion cannons to be severely damaged, leaving him and the ship seemingly for dead. 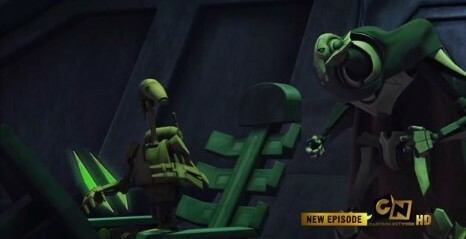 in the following episode, “Destroy Malevolence”, despite his ship being greatly damaged, General Grievous is still alive and Count Dooku arranges (with the help of Palpatine/Sidious) for Senator Padme to arrive and become General Grievous’ hostage. Skywalker rewires hyperdrive to send them into nearby planet/moon and the Malevolence is destroyed, while General Grievous escapes in his ship. At this point, we have only seen General Grievous in the Malevolence, a tremendously powerful ship. While we have seen and heard of his successful attacks, he loses this ship. 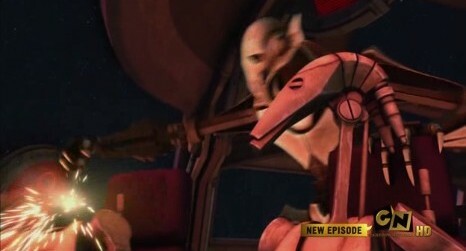 In the next episode, “Rookies”, General Grievous tries to overtake an outpost and sneak by the Republic, but, ultimately, his plan is thwarted and they have to high-tail it out of there. 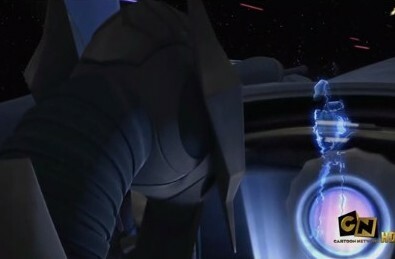 The following episode, “Downfall of a Droid”, shows him being aggressive in his attack against Anakin’s outgunned fleet, with his aggressiveness causing the destruction of his fleet, outflanked by Anakin Skywalker’s brilliant strategy of putting tanks on asteroids and General Grievous, who had put all power to forward shields, getting outflanked from behind, causing him to lose his whole fleet! He then hops away in his ship and escapes for a second time. In the very next episode, “Duel of the Droids” we see General Grievous at a listening station. Eventually, the station destructs and he flees. 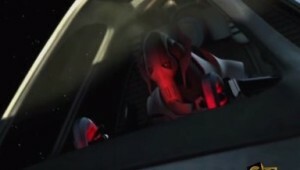 In such a short time, this is the third time in the season that we see General Grievous fleeing something that is being destroyed, the first two being ships. Really, beyond “Rising Malevolence”, General Grievous is entirely unsuccessful in his missions, as well as losing many battle droids, as well as ships and a station. He is certainly unlike his portrayal in “Star Wars: Clone Wars” and makes one wonder how he could have stuck around for the Separatist army. Indeed, toward the beginning of “Lair of Grievous”, Count Dooku tells him: “General, the ongoing stalemate in the war has become unacceptable. There is concern you have lost your focus. Lord Sidious demands more dramatic results – more dead Jedi.” Clearly, Count Dooku and Lord Sidious can no longer tolerate such miserable results. While General Grievous responds to him, “You expect victory over Jedi, but all you give me to fight them is battle droids”, it is clear that his results have not been good….